On Tuesday and Wednesday night, The Hansberry Project in conjunction with eSe Teatro, hosted "REPRESENT! 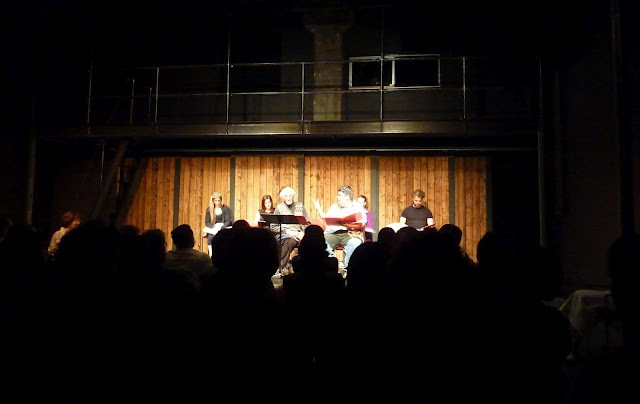 A Multicultural Playwrights' Festival" at the ACT Theater and I was there of course. One of the things that have happened in theater and film throughout the years is that not many Latino actors/actresses get good roles. They usually get the stereotypical roles of babysitters, cooks, housemaids, and my favorite one lately... Drug dealers. Because of that, many actors have decided to become producers to be able to tell their own stories and portray what the Latino culture really is about. That’s exactly what eSe Teatro is doing here in Seattle. 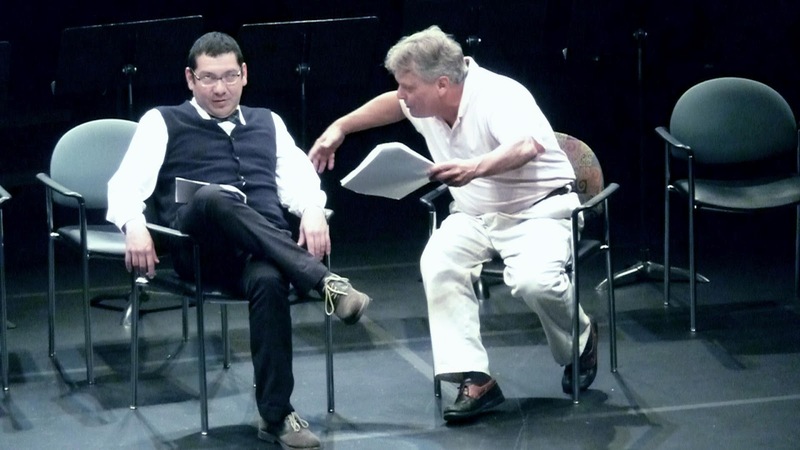 Perhaps, one of the most interesting things at their stage readings is the mix of the Spanish and English languages, because believe it or not, most of us do speak at home, the so-called Spanglish! Whenever we forget a word in English, well we say it in Spanish. If we forget a word in Spanish, we say it in English! "Haley's Comet" written by Nilki Benitez. "The Rehearsal" written by Lonnie Tristan Renteria. I admire how the members of this theater company are working very hard at making their plays understood by all of their audiences. The mix of languages is a challenge that could make some people in the audience unhappy; however, thanks to their hard work this hasn't happened. I’d love to see projects like this grow and get funded so they can someday, why not, make it to the big theaters with a huge production! For now, I'd like to invite you my friends to come to one of their stage readings. The next one will be on Sunday, July 22nd, at the ACT Theater where they will present “Don Quixote and Sancho Panza – Homeless in Seattle” once more. Let’s keep supporting our local artists! 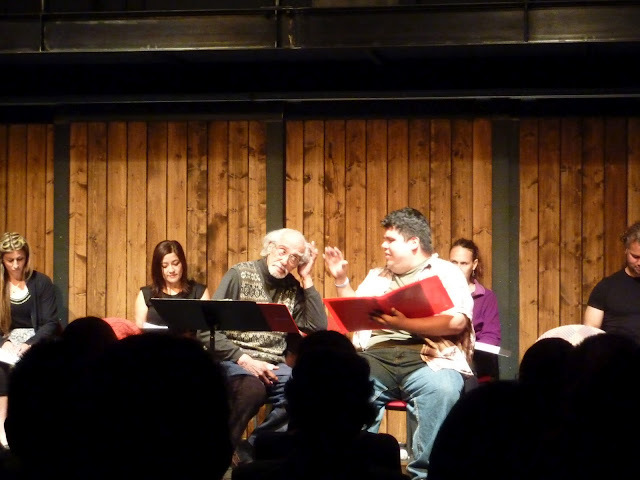 "Don Quixote and Sancho Panza - Homeless in Seattle" written by Rose Cano.